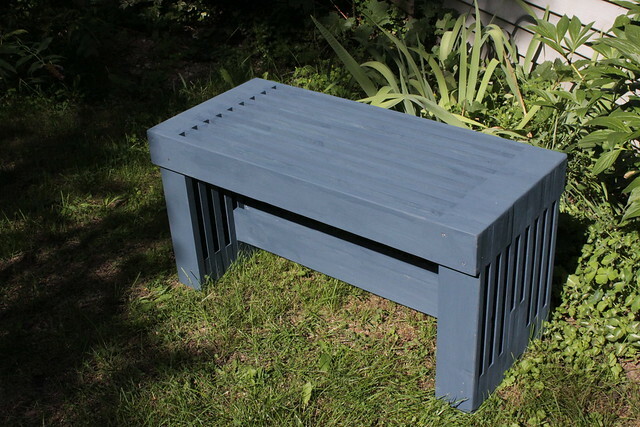 Lynda has finished painting the Slat Bench, in a blue colour called “Bluenose” for some reason. 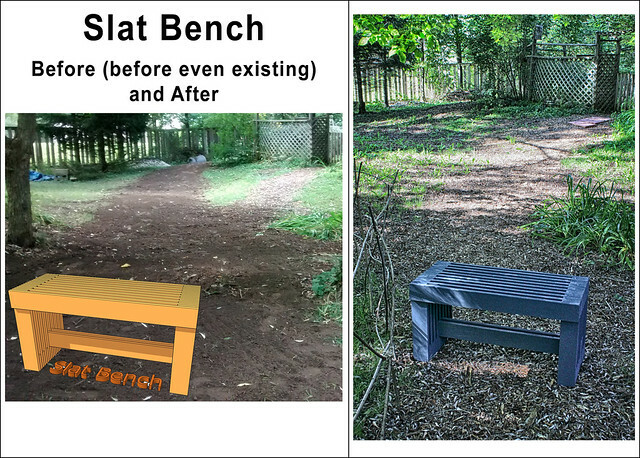 Here are the before and after pictures, including a before-even-existing picture. 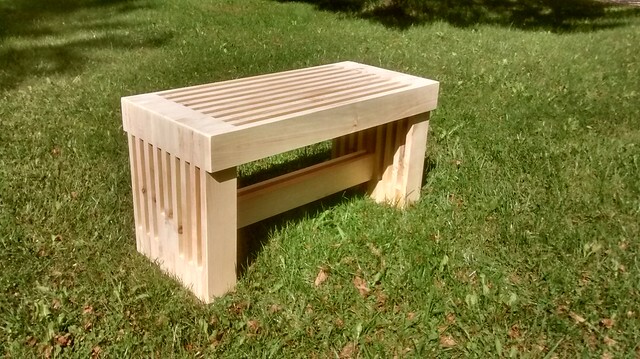 Lots of 12″ rough pine boards leftover from shed wall project, so I figured another garden bench was not the worst idea, and would use up most of them fairly quickly (if I ever get started). 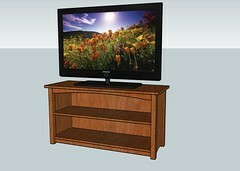 Getting my Sketchup feet under me again, finally. 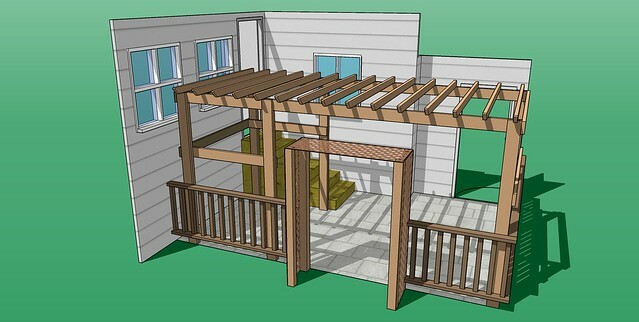 Here’s the latest iteration of our Pergola. Plan-wise, I’ve changed the rafters to 2x4s instead of 2x6s and spaced them 12 inches on centre instead of 16. 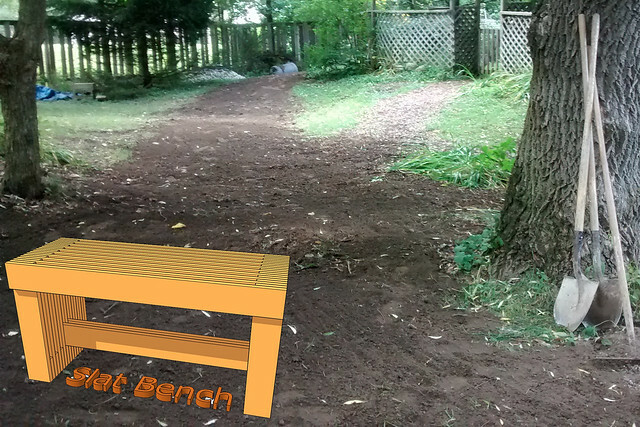 Which is exactly the kind of change that using Sketchup allows you to visualize up front, BEFORE you buy the wood! Even the shadows are accurate for an early afternoon in late April at our latitude and longitude. That can be quite helpful in some cases, I expect, but we already know which way the sun comes in on our patio, so it’s more for fun really. 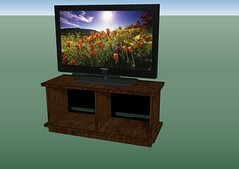 This is (hopefully) the last of at least 7 design iterations in Sketchup for the TV stand I’ve been mulling over for several months now… Version 6 was actually marked final and the cutting had begun, when I realized that the shelves it included would not be necessary and would in fact unacceptably reduce the available space for components. The main pieces were already cut based on version 6 of the plan, which had a full-thickness back, stopping short of the top and bottom (for ventilation). 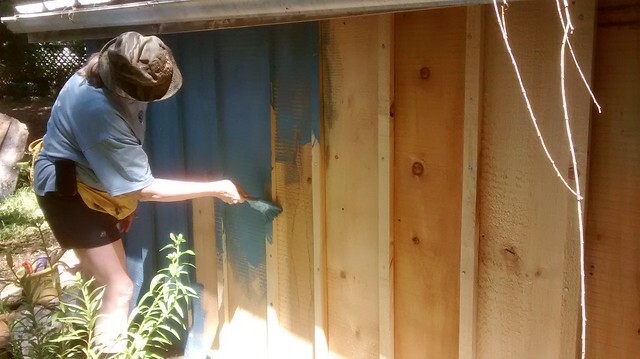 This would have involved a ridiculous amount of wood trim to cover exposed particle board, more than anywhere else on the project… It didn’t make sense to put all that effort into trimming out the least-visible part of the thing. So here I went with 1/4-inch hardboard for the back, full-coverage, with ventilation holes and wire-access holes, top and bottom. 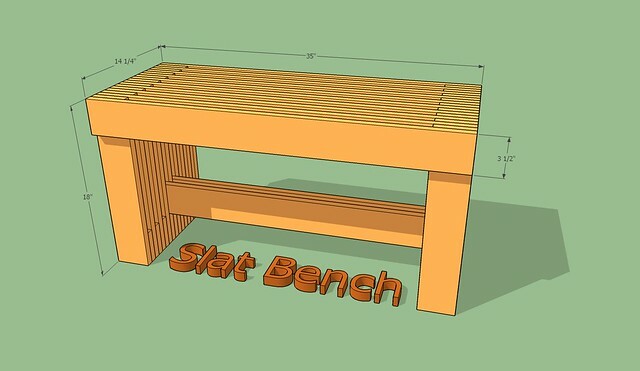 I just slapped this together in Google Sketchup, in hopes of soon being able to build it for our new TV, which we hope to get in the next week or so. In other words, NONE of this is real. Yet.